~ trust Him; hang in there; wait on Him. but He HAS NOT QUIT on you." to see how much damage has been done..."
"But you'll find Jesus in my heart. The Bible says He lives there. The hymns all say He lives there. You'll find Him in my heart." The surgeon had had enough. "I'll tell you what I'll find in your heart. and You've cursed him to an early death. Why?" and will be comforted as you cannot imagine. boy, and You created that heart. He'll be dead in months. Why?" but to retrieve another lost lamb." the boy's parents sat across from him. "Did you cut open my heart?" * This poem was shared at A Different Kind of Happy, a blog that was started by Ali at the beginning of 2010 as a year long experiment of learning to live with pain and find a different kind of happiness in the midst of illness. Drop by and visit Ali today; I know her journey will touch your heart. In the tradition of THE NINES conference, Leadership Network is excited to present another totally online FREE one day event for you and your church staff. You'll hear fresh ideas from 40 new voices that will encourage you, motivate you and make you a better leader. Registration is FREE, but required to attend. Register your ministry team today! full speaker notes, speaker contact information and complete conference schedule. continue reading "AHA! - Another Totally Online One Day Event"
Is there some sin that you’ve done or are struggling with right now that you feel condemned for? Join Beth Jones, from Tablet of My Heart, as she shares about God’s unconditional love and forgiveness. Jesus doesn’t want you under that weight of condemnation and shame, but rather He wants to forgive you and to set you free. continue reading "Forgiven, Not Condemned"
Do you find yourself striving to mark off your daily spiritual to do list? I think the majority of women have struggled with feelings of 'not being good enough', or have seen spending time with God as just 'one more thing' on their daily to do list. 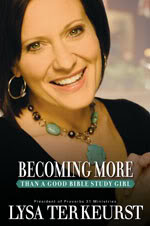 I absolutely loved Lysa's transparency in Becoming MORE THAN A Good Bible Study Girl. where I had asked the same exact questions! If you find yourself asking these same questions and find yourself longing for 'more' in your daily relationship with God; allow Lysa to share her journey of Becoming More Than a Good Bible Study Girl. You will be so encouraged!!! God will take our ordinary lives and make them EXTRA-ordinary. You too, can become MORE THAN a good Bible study girl! Jesus really does hold ALL the answers!!! 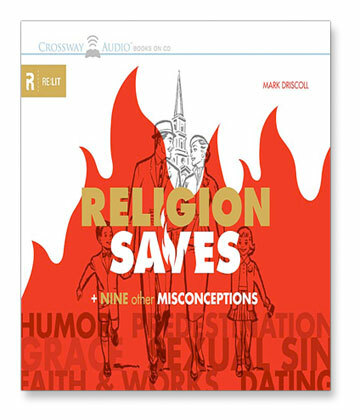 * This book was provided to me by Zondervan to review. Thank you!!! It's a keeper! Kick-off EventLive-video-streamed on the Internet! Hope to connect with you online Tuesday evening (TONIGHT!) for an INSPIRING and HOPE-filled event! PLEASE SPREAD THE WORD ABOUT AN EXCITING ONLINE EVENT! continue reading "National 40 Days for LIFE"
* Haven't observed Lent before? Wednesday is February 17 and Easter Sunday is April 4.
and draw closer to Christ. We invite you to deepen your understanding of the joy of Easter by observing a prayerful and reflective Lent. Click the link below to receive daily emails during Lent, containing passages from Dr. Crabb's new book to help you focus your thoughts and begin your own conversations with God. Emails will begin on February 17. & remembers your sins NO MORE. continue reading "All I Want..."
On this special Valentine’s Day? And follow Him, come what may? How can I show I need Him? Should I send a red heart, with lace? For his sacrifice, love and grace? I’ll yield to Him my heart. 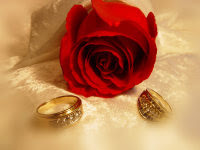 continue reading "What Valentine Can I Give Him?" we don't get what we deserve. He gave me wings so I could flyAnd gave me a song to color the skyAnd all I have is all from YouAnd all I want is all of you. 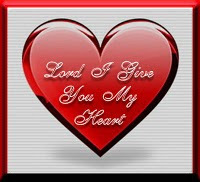 continue reading "King of LOVE ~ I'm Everything With You"
LOVE NEVER FAILS ~ Online Bible Study begins February 15! True love doesn't collapse under pressure or fall apart in the hard times. How can we experience and practice that kind of love? In this new study, Love That Never Fails, we will examine the lives of Hosea and Gomer to define, discover, and experience unconditional love. confrontation, rather than retreat, to deal with and successfully resolve conflict. Mary Southerland is The Stress-Buster, a leader at helping women manage stress and enjoy peace in their daily life. Mary also serves the local church as the Women’s Ministry Motivator, inspiring thousands of women to joyfully participate in Bible Studies and volunteer ministries. 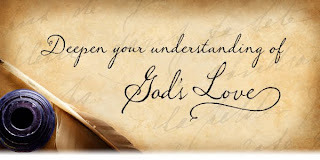 continue reading "LOVE NEVER FAILS ~ Online Bible Study begins February 15!" This 45 minute video presents a Biblical perspective of Christian marriage. It gives attention to the dynamics of the relationship between husband and wife, taking the events around the birth of Jesus as its source text. continue reading "FREE Seminar: Love in the Family (Understanding Marriage)"
"There is MORE HUNGER forlove & appreciationin the world today than for bread." 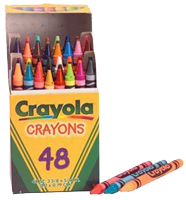 continue reading "Has Anyone Told You Today That..."
continue reading "Just a Box of Crayons"
continue reading "Voice of the Lover"
"I Met God in the Morning"
Brought to me a peace and rest. continue reading "I Met God in the Morning"
because He Who lives in you is GREATER (mightier) than he who is in the world. continue reading "The POWER of Christ in Me"
• The good Lord didn’t create anything without a purpose, but mosquitoes come close as do cockroaches. • He who angers you, controls you! • If God is your Co-pilot – swap seats! • Prayer: Don’t give God instructions – just report for duty! • Need a reason to be thankful? Check your pulse. average inspirational book and is as unique as the title. The author shares her message of forgiveness, restoration & hope for hurting women -- especially those who have experienced the loss of a child through abortion,miscarriage, or stillborn birth. to the POWER of God to heal the broken heart. to weave the thread of His grace throughout her troubled life. from the barren days of the past, to springs of living waters; rivers that will refreshlong after you close the pages of this book. Pick up your FREE COPY. continue reading "Looking for HOPE?" Register for this LIFE-changing webinar! Join Dr. Randy Peck and his son Robert Peck, as they interview the author John. G. Miller about his latest book, Outstanding! 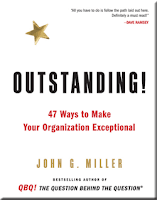 47 Ways to Make Your Organization Exceptional. continue reading "47 Ways to Make Your Organization EXCEPTIONAL..."
It's February! How is your year going? Has it been different? Have you gotten off to a good, strong start? Or...are you frustrated already with the same old stuff when you really wanted to make this year a year that counts? Don't we all count down until the New Year, hoping for something different? Hoping for change? What happens as we dig into the New Year? Do we just get into the same-old, same-old? Do we just begin to get back into our same old rut? Do we let go of the dreams that we have for the New Year...until the next year? Sweet friend, this is THE YEAR! This year holds abundance! This year holds lavish blessings! It is not too late to make this year different from those in the past. You have a new beginning, a new start. You have a new chance! You have a new work to do! Join Cindy as she helps you get started making this year a year that really counts! Pick up your FREE copy of A Year That Counts. continue reading "A Year That Counts!" Whether our husband is the spiritual leader we have always dreamed of, or has disappointed our expectations; we have a holy command from Scripture to submit our will to his. Do you make it easy for your husband to lead? Join Melissa Ringstaff, owner of A Virtuous Woman, as she teaches The Heart of Her Husband. A perfect topic for women to study as we approach Valentine's Day. continue reading "The Heart of Her Husband"
continue reading "Find You Waiting..."
posed by visitors to the Mars Hill Church website. and enter the code FEB2010 when prompted during checkout. 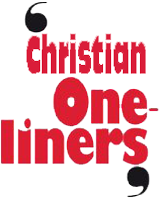 (c) christianaudio - Each and every month christianaudio gives away a premium audiobook download for FREE. They give away one audiobook download (that they have published or that a partner has allowed them to give away) absolutely FREE; available ONLY during that month and ONLY ONCE, ever. continue reading "FREE Christian Audiobook Download of the Month ~ Religion Saves"
Celebrate Valentine's With FIREPROOF and The Love Dare! the love of your life this February. With A Love Dare Challenge! Missed seeing FIREPROOF? Watch the trailer. this Valentine's Day and ALWAYS! continue reading "Celebrate Valentine's With FIREPROOF and The Love Dare!" Registration is open for The Respect Dare® e-course with author Nina Roesner! During the 9-week online course, Nina will challenge you to make positive changes in your marriage and show you how to improve your intimacy with God, all in a community of encouragement and accountability. The course includes video teaching segments as well as personal, practical insights in how to best implement change that will be lasting. and it is filling up already! that they had to run 2 classes in order to accomodate everyone. Check it out before it is TOO late. continue reading "The Respect Dare E-Course - March 2010"
This FREE Seminar Series begins Tuesday, February 2nd and running consecutive Tuesdays through February 23rd all at 9pm est/8pmcst in an online conference room. • February 2: Amy Hilbrich Davis of Inspiring Moms will help to Inspire Moms to Encourage Your Children. • February 9: Aurelia Williams of Parenting Your Teens will help us to Connect with our Teens and sharing ways to help encourage them to love who they are. • February 16: Sandra Huber of The Soulful Parent will be Encouraging the Parent with strength, compassion and soulful love. Join the host, Dr. Daisy Sutherland, Founder and CEO of Dr. Mommy, LLC. 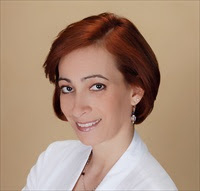 Her passion is to help families, most importantly help parents with their wonderful journey. As a doctor and mom of 5 children, she completely understands the trials and tribulations that come with being a parent. She believes, that together we can work to making your journey as a parent a joyous one and one that your child will remember forever. Remember all calls will be recorded so you will have access to the replay for 24 hours. continue reading "FREE February Teleseminar Series"
Here's a gorgeous desktop background for your computer! Please stop by and thank her for being a blessing! 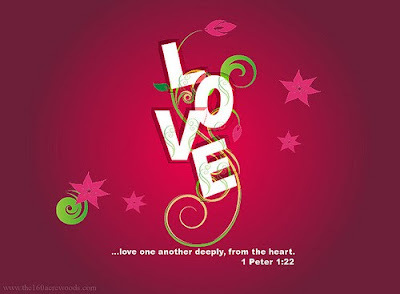 continue reading "LOVE...from the heart"